Just a note to thank you for getting my SONOSAX SX-ST mixer through the works so quickly! I started production on a new film (Bright) here in Los Angeles and the mixer feels like new!! Also, I’ve already put my SX-R4+ to use on my cart as a recorder which I can easily pull out and use as a very light and powerful “over-the-shoulder” recorder when I need one. The interface is very simple to learn and use. The build and sound quality is amazing as always. Freelance sound engineer and proud owner of a SONOSAX SX-ST mixer with which she completed dozens a feature films and countless episodes of TV Series since it was acquired in 2005. After 11 years of intensive use, Lisa shipped it back to factory for a full revision; the SX-ST is back to work in “like new” condition, ready for the next 10 years! 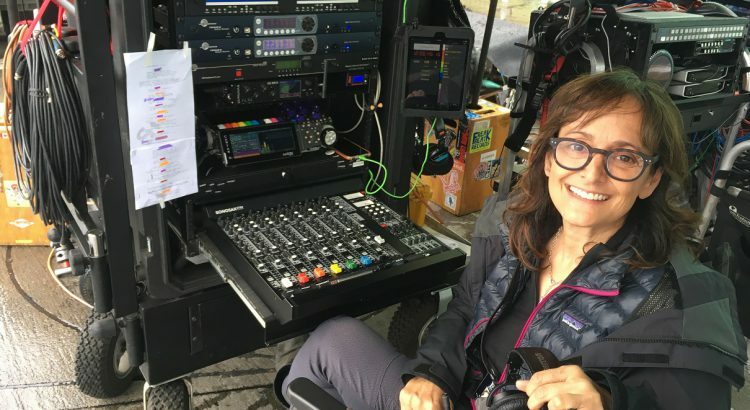 Lisa recently added the new SONOSAX SX-R4+ recorder to her sound cart.